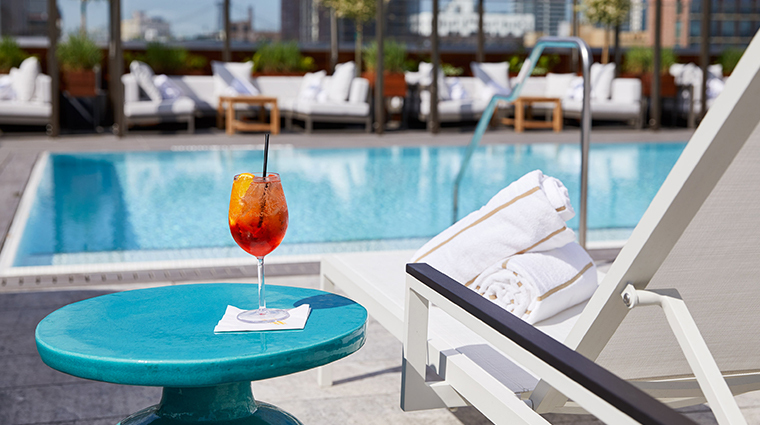 For those eager to flee the buzzing streets of Manhattan, check into The William Vale. 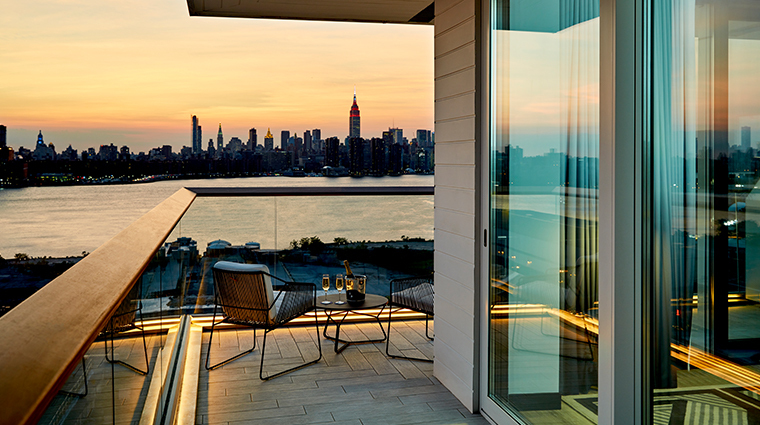 Here you can appreciate all that the Williamsburg neighborhood has to offer while mingling with the locals. 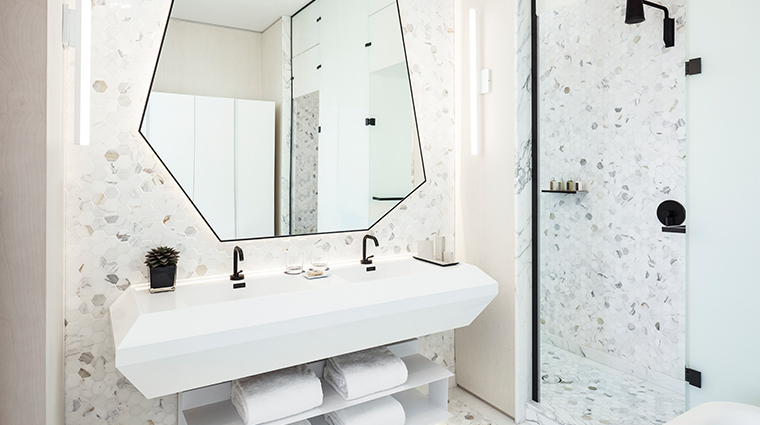 Built by Brooklyn-based architect Albo Liberis and designed by Toronto’s Studio Munge, the hotel pays tribute to its hipster-cool corner of town with a sleek, modern exterior rising above the rest; an art-filled interior; impressive city views; and a laidback feel. 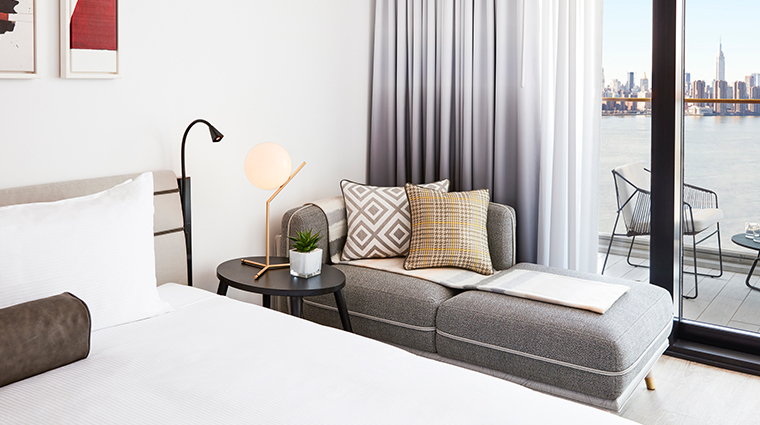 Since its opening in 2016, the property has become a welcoming hub for guests and locals alike, making it a place to stay, eat or simply hang out. 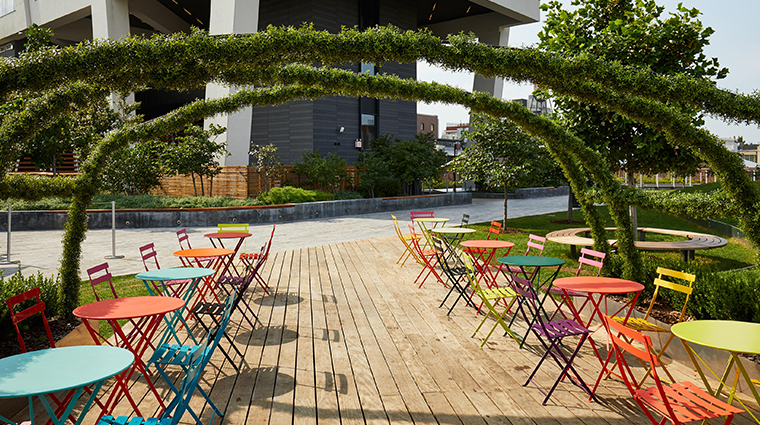 This is especially true for your city-view balcony — every room has one — as well as Vale Park, a 15,000-square-foot public green space atop the hotel’s roof that invites you to linger on the small rolling hills with picnic blankets and at alfresco tables where you can savor soft serve slung from an airstream — this is Brooklyn, after all. 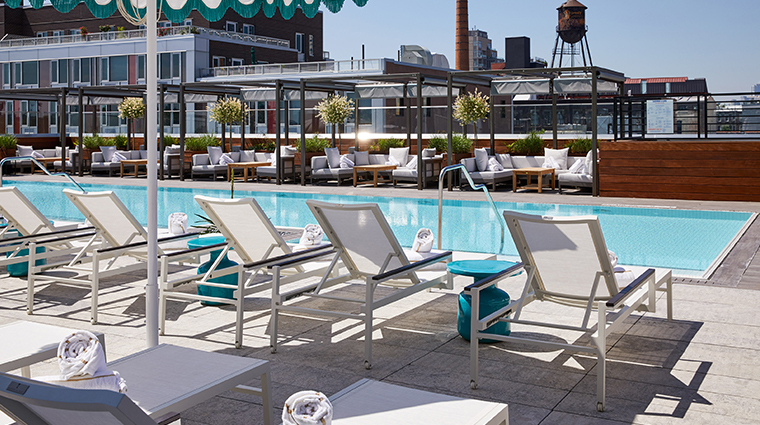 At 60 feet long, the outdoor pool is the longest of its kind in Brooklyn. Unwind on lounge chairs or under cabanas and order cocktails from the two outdoor bars. 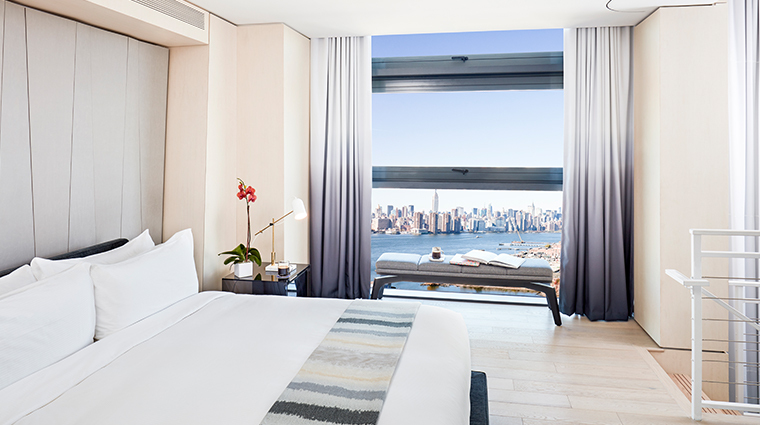 You’ll get mesmerizing views everywhere at this hotel — from your guest room balcony to the 22nd-floor bar. 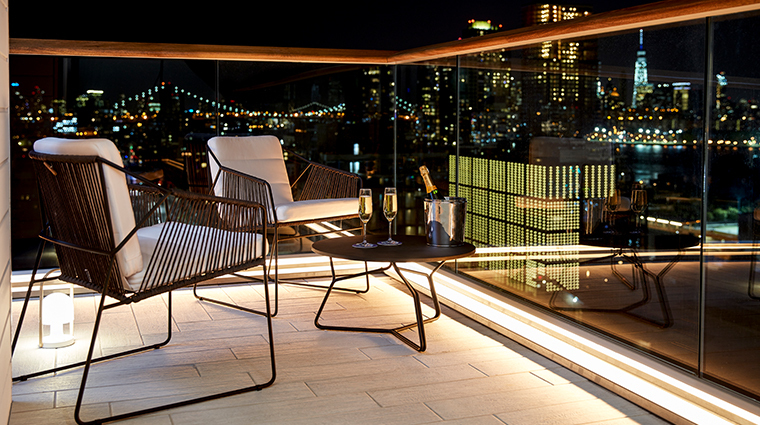 Head up to the green space on the hotel’s rooftop for incredibly Instagrammable skyline views. During the warmer months, movies are shown out here under the stars and outdoor yoga and Pilates classes are held. 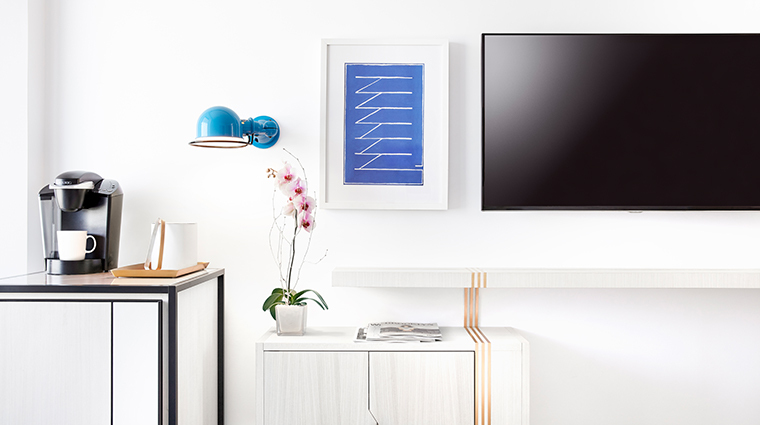 All the artwork found throughout the hotel is by Brooklyn artists. 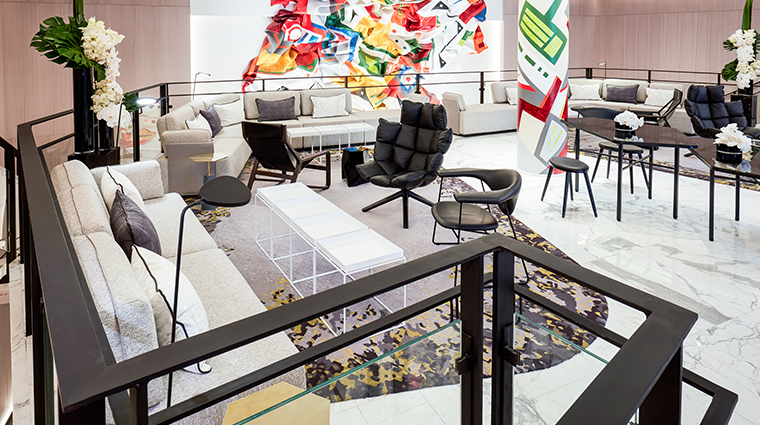 The focal point is the colorful sculpture by Marela Zacarias in the lobby opposite the digital screens boasting artwork for purchase with a touch of a button. 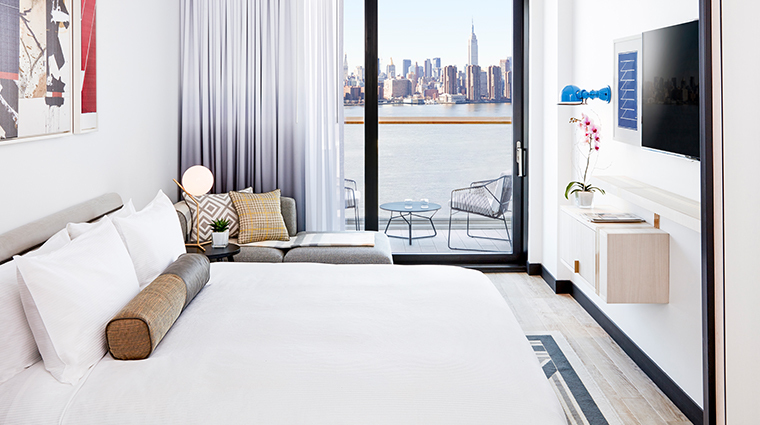 The boutique hotel is central to all of Williamsburg’s offerings and the neighborhood isn’t overly crowded, which allows for easy exploring. 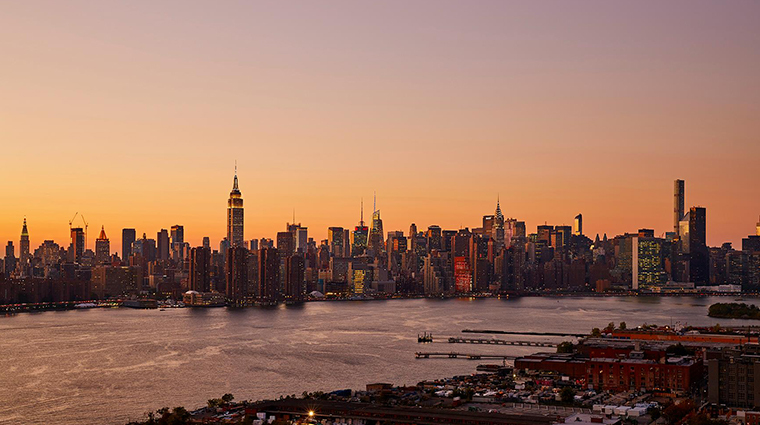 With local attractions only a few steps away, including Brooklyn Brewery, Brooklyn Bowl and Kinfolk, you won’t even need a taxi or car service. You’ll notice there is construction next door. 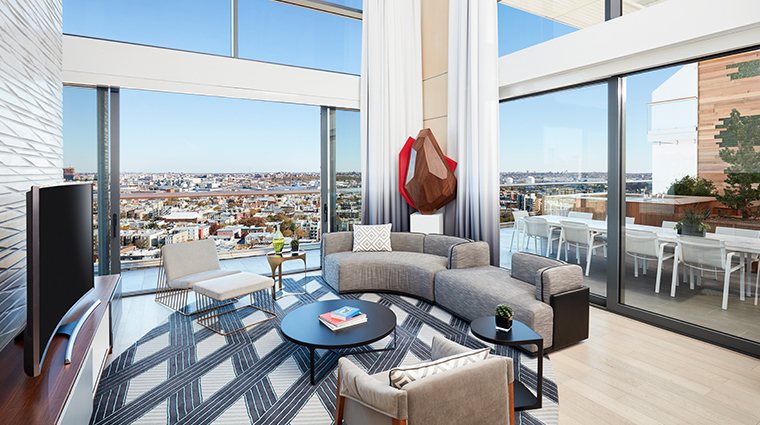 Office buildings are on the rise but only reaching the 10th floor — no views will be compromised, since all guest rooms begin on the 11th floor. The William Vale is close to all forms of transportation, including the East River Ferry and Bedford L subway stop. A 10-minute cab ride will take you to Manhattan and in less than a half hour you’ll arrive at the local airports. There is a Vale Shopping List of beverages and snacks that can be pre-ordered for guest rooms. In the coming months, this will switch over to fully stocked mini-bars. 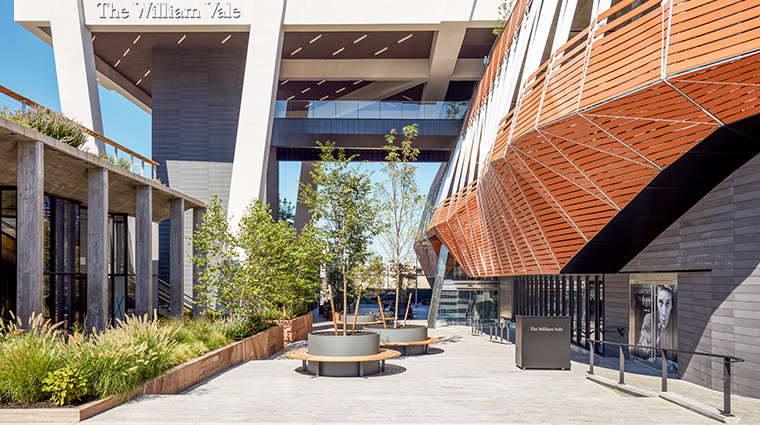 All 183 rooms at The William Vale value the surrounding city sights as much as the rest of the property. Each accommodation is elevated with floor-to-ceiling windows and a private balcony, with the larger suites providing wraparound terraces. 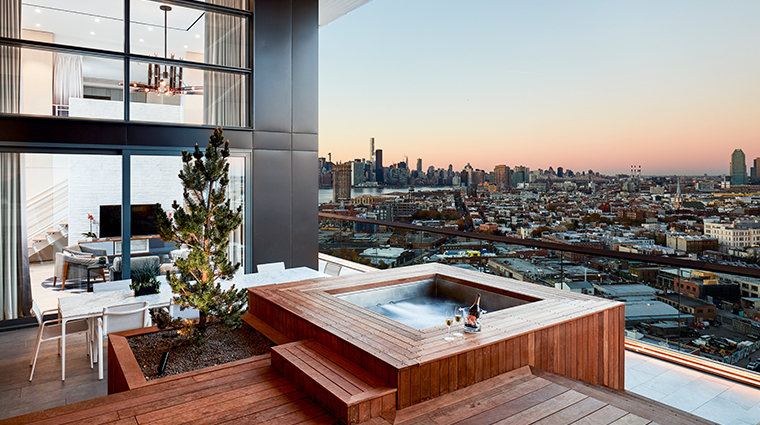 For the ultimate Brooklyn pied-à-terre, opt for a stay in the Vale Garden Residence, a two-bedroom duplex loft with a 1,632-square-foot private patio and an outdoor Jacuzzi. In-room Brooklyn Roasting Company espresso machines offer a quick caffeine fix while keeping to the hotel’s local theme. 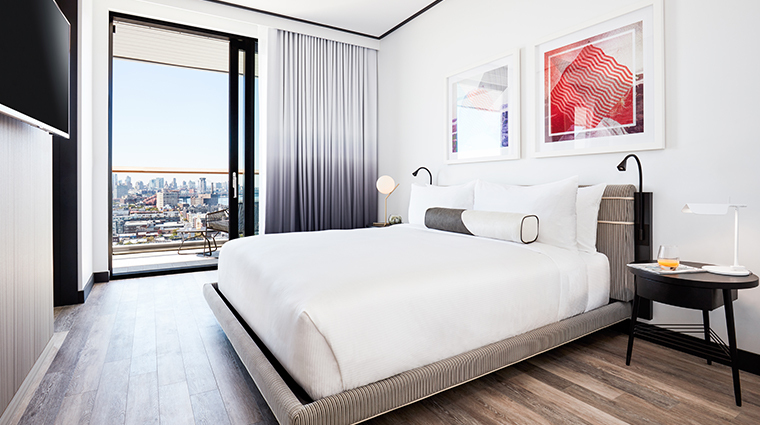 Plush Frette linens, down pillows and blackout shades set the scene for a relaxing night’s sleep, and the spacious wardrobes that light up when opened make for easy navigation. 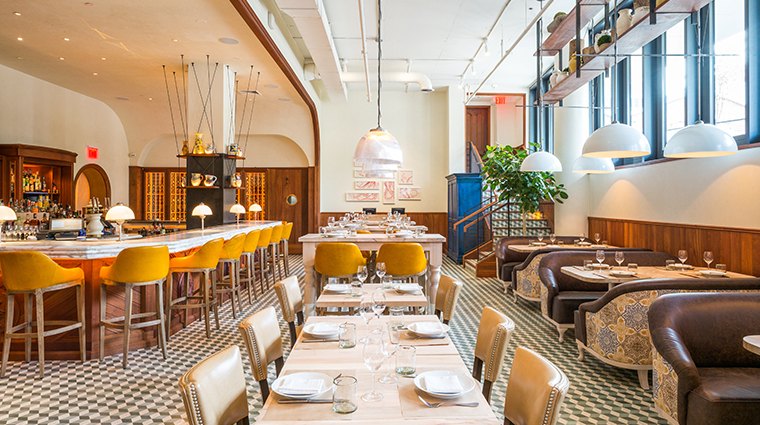 Helmed by noted chef Andrew Carmellini (of Locanda Verde fame), Leuca is the Brooklyn hotel’s signature restaurant specializing in Southern Italian cuisine. 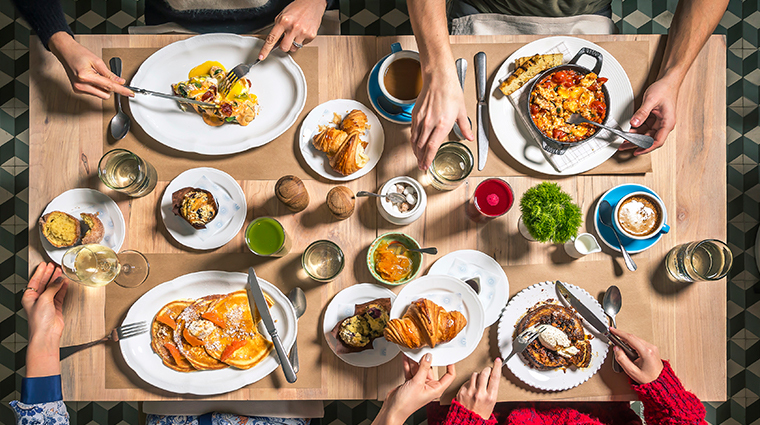 On the ground floor, it serves breakfast and lunch in its casual daytime space and dinner in the upscale dining room. While the pastas and grilled fare are both excellent, the wood-fired pizzas are the stars of the show at Leuca. Try the classic with tomatoes, mozzarella and basil, or be a little more adventurous with the Lamboglia, a pie topped with lamb sausage, scamorza cheese and mushrooms. 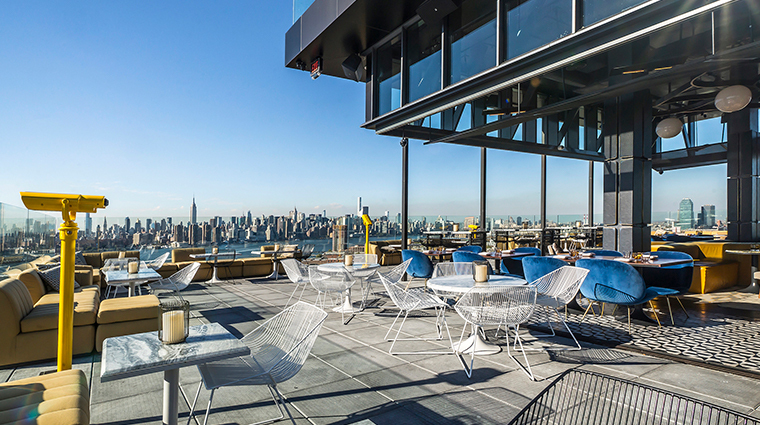 On the 22nd floor, posh rooftop bar Westlight captures panoramic views of the city while turning out elevated bar bites and handcrafted cocktails, like the Italian-American Club (bourbon, Amaro Cio Ciaro, Amaro Lucano and bitters). Soon, this nighttime-only hotspot will be opening for brunch. Head upstairs to Vale Park for a burger or soft-serve cone at Mister Dips, a 1974 Airstream parked on the grass. 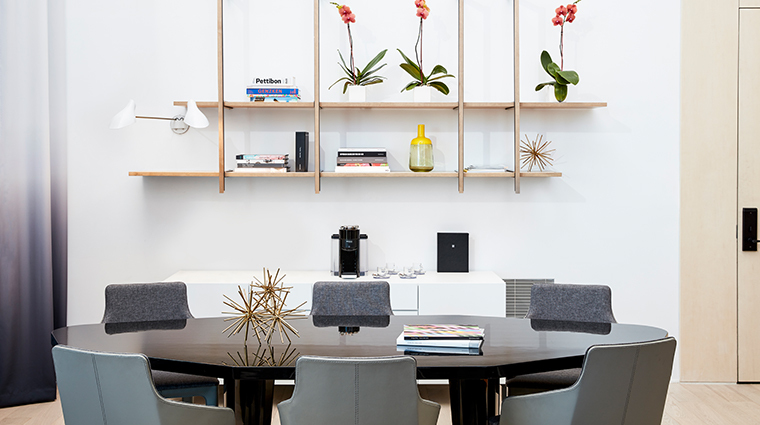 Within the luxury hotel complex you’ll find Du’s Donuts and Coffee from celebrated modernist chef Wylie Dufresne. Go there for irresistible cake doughnuts in flavors like chocolate caramel brownie along with hibiscus and cream.